I’m so excited to be back here with all of you at Place of My Taste! In case you’re new here, I’m Rebecca from Living Better Together and one of Aniko’s monthly contributors. This week I’m bringing you Very Berry Cupcakes. I love baking, and even more than that, I love berries! Strawberry season just started here in Maine and the rest of the berries will be ripening in full force here pretty soon! My husband believes fruit (except coconut) shouldn’t be allowed in desserts. I wholeheartedly disagree, but I’ll let him keep thinking that because it means more deliciousness for me, am I right? These Very Berry Cupcakes are requested often and I’ve made them for office and graduation parties and they’d be perfect for a bridal or baby shower too! As simple as a basic vanilla cake is, there’s just something about it. Maybe its the ease which other flavors pair with it, or the fact that it never fails to please, I dunno… but it sure is good! 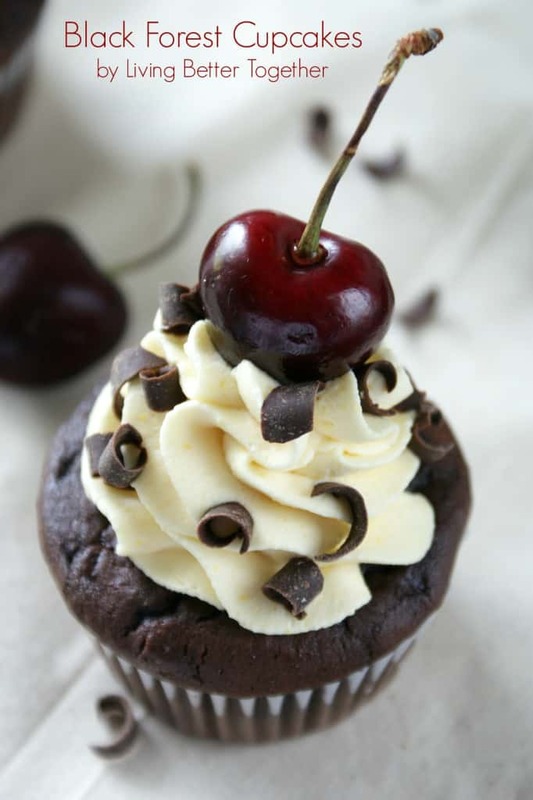 If you’ve been by my blog you may have seen my Dark Chocolate Cupcakes with Raspberry Vanilla Creme and how much I loved that Raspberry Vanilla Creme. Well I decided to try it with strawberries and then got really adventurous and decided blueberry pie filling would be a fun addition in the center! 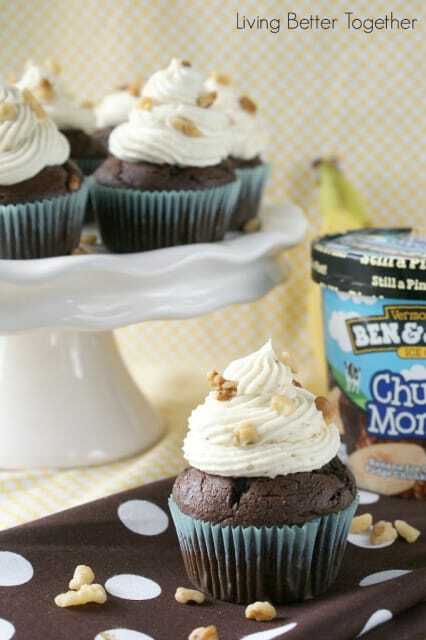 These cupcakes have simple flavors, but when they come together they pack for a huge WOW! Combine cupcake ingredients in a stand mixer or large bowl and beat until combined. Add about 2 tbsp of batter to each cupcake liner so they're each ½ - ¾ full. Bake cupcakes for 18-20 minutes. Add freeze dried strawberries to a food processor and process until fine. Beat heavy cream, confectioners' sugar, and pudding mix for about a minute and then add in the strawberry powder. Pipe frosting around the edge of the cupcakes. Fill the area inside of the frosting with blueberry pie filling. The pie filling in the center is a really nice touch. They look beautiful and what I like most is that they don’t go overboard on the frosting like so many cupcakes do. these are just the cutest cupcakes ever.. i probably could devour a whole bowl of that frosting straight. yum!